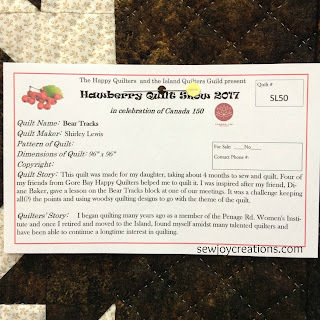 This is the first in a new series of posts that I will share here on my blog, Sew Joy Creations. 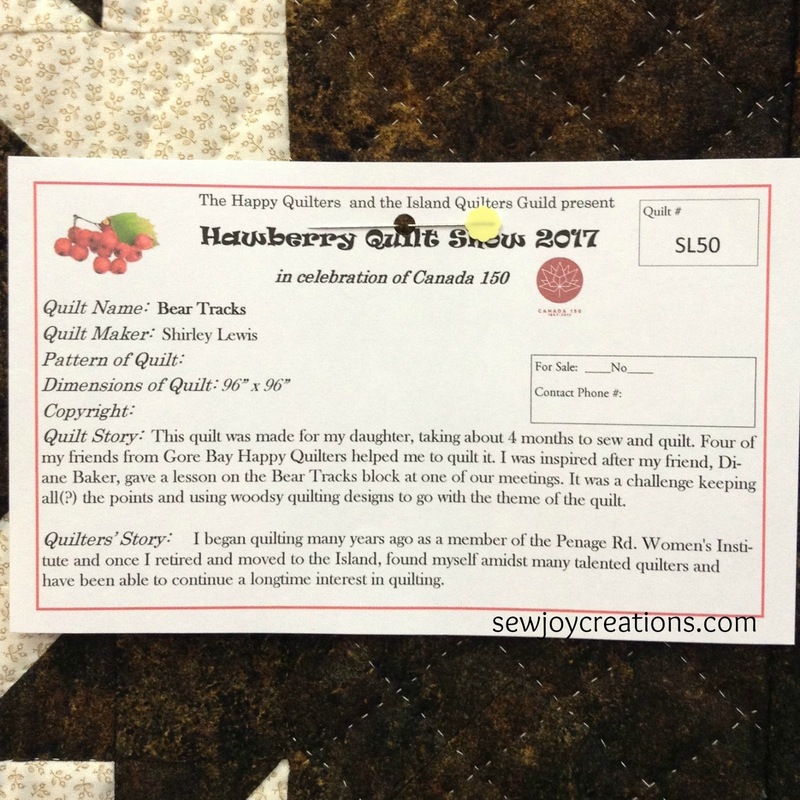 It is my hope that another quilter or someone with knowledge about quilt blocks and their names will be able to assist me in solving these mysteries. When/if a case is solved I will go back and edit posts with a link to the solution (pattern for making the block!) I hope you enjoy the hunt as much as I do! Keep your eyes open, here's the case. This quilt is big and beautiful. I immediately wondered how the block was constructed and read on the description card that it had been taught in a class. I didn't notice the beautiful handquilting in person. Click on the photo to enlarge and enjoy it yourself :) To be fair, I was with my children at the time! Thank goodness for digital photography. The quilting definitely enhances the quilt, but gives no clues to the block construction. The photos below came up during a direct search in Pinterest for bear track. So did several photos showing blocks commonly known as Bear Paw. 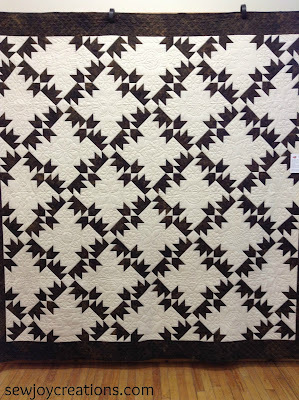 This quilt from Iowa Barntiques is pretty close, isn't it? 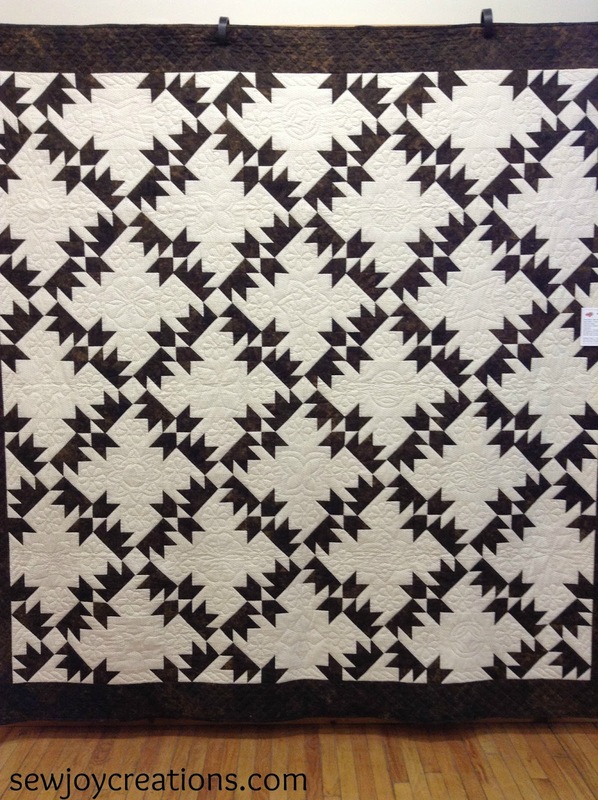 It has me thinking that maybe the blocks in the quilt I saw are set on point or with another block between them. You can see more of my Quilt Block Mystery pins on the board I made on Pinterest for these cases here. Not extremely successful, but not frustrating either. You can click on the photo and be taken to the link to download this pdf of a bear tracks block in two layouts. This leads me more and more to think the block is made up of T blocks arranged around a center unit. There is no Bear’s Track block. The earliest record of this design was pattern #351 through the Ladies Art Company and that pattern made it in print after 1897. There was an earlier pattern – pattern #162, but the tracks are arranged in a clockwise position, like a pinwheel. 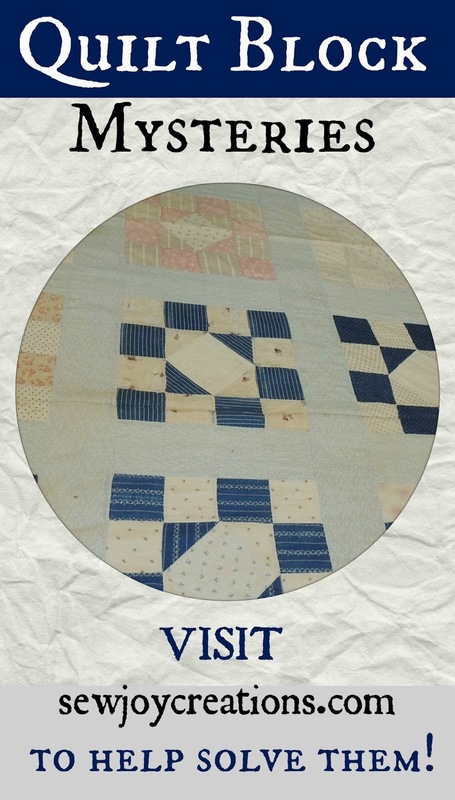 Click on the photo to go to the website and a page of mockup quilts. This one is close, but the "T" has one too many points. Do you have a LEAD to help solve this block mystery? Please leave it in a comment. Do you have your own BLOCK MYSTERY? Feel free to share in the comments and maybe we can help you too! Did you enjoy this post? Please consider signing up to receive my newsletter where I share with readers what I'm blogging and what else I'm thinking through behind the seams! I enlarged the picture of the quilt, and I can see separate pieced blocks, but none of them jump out at me as far as a name goes... Sorry!